Match ends, Colchester United 0, Gillingham 1. 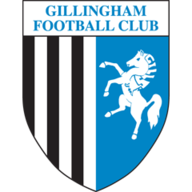 Second Half ends, Colchester United 0, Gillingham 1. Billy Bingham (Gillingham) is shown the yellow card for a bad foul. Goal! 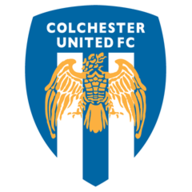 Colchester United 0, Gillingham 1. Max Ehmer (Gillingham) from a free kick with a right footed shot to the bottom right corner. Corner, Gillingham. Conceded by Cole Kpekawa. Attempt blocked. Darren Oldaker (Gillingham) left footed shot from the centre of the box is blocked. Cole Kpekawa (Colchester United) wins a free kick on the right wing. Attempt missed. Nicke Kabamba (Colchester United) left footed shot from outside the box is too high. Attempt blocked. Craig Slater (Colchester United) right footed shot from outside the box is blocked. Corner, Colchester United. Conceded by Billy Bingham. Corner, Gillingham. Conceded by Frankie Kent. Corner, Gillingham. Conceded by Lewis Kinsella. Substitution, Gillingham. Liam Nash replaces Josh Parker. Finn O'Mara (Gillingham) wins a free kick on the left wing. Substitution, Colchester United. Craig Slater replaces Sanmi Odelusi. Attempt missed. Josh Parker (Gillingham) right footed shot from outside the box is close, but misses to the left. Foul by Nicke Kabamba (Colchester United). Ben Chapman (Gillingham) wins a free kick in the attacking half. Substitution, Gillingham. Ben Chapman replaces Sean Clare. Attempt missed. Sean Murray (Colchester United) right footed shot from outside the box is close, but misses to the left. Attempt saved. Sanmi Odelusi (Colchester United) right footed shot from the centre of the box is saved in the centre of the goal. Attempt missed. Sanmi Odelusi (Colchester United) header from the centre of the box is close, but misses to the right. Attempt saved. Darren Oldaker (Gillingham) right footed shot from outside the box is saved in the top centre of the goal. Attempt missed. Tom Eaves (Gillingham) header from the centre of the box is just a bit too high following a corner. Attempt missed. Max Ehmer (Gillingham) header from the centre of the box is close, but misses to the right following a corner. Attempt blocked. Darren Oldaker (Gillingham) right footed shot from the centre of the box is blocked. Substitution, Colchester United. Courtney Senior replaces Mikael Mandron. Attempt missed. Tom Eaves (Gillingham) right footed shot from the centre of the box is just a bit too high. Foul by Sean Clare (Gillingham). Delay in match Sean Clare (Gillingham) because of an injury. Sean Murray (Colchester United) wins a free kick in the defensive half. Foul by Brandon Comley (Colchester United). Foul by Sanmi Odelusi (Colchester United). Aaron Simpson (Gillingham) wins a free kick in the defensive half. Attempt blocked. Sean Murray (Colchester United) right footed shot from outside the box is blocked. Corner, Colchester United. Conceded by Tom Eaves. Sanmi Odelusi (Colchester United) wins a free kick in the attacking half. Foul by Ben Nugent (Gillingham). Substitution, Colchester United. Nicke Kabamba replaces Kurtis Guthrie. Second Half begins Colchester United 0, Gillingham 0. Substitution, Gillingham. Billy Bingham replaces Elliott List. First Half ends, Colchester United 0, Gillingham 0. Kane Vincent-Young (Colchester United) wins a free kick in the attacking half. Attempt saved. Mikael Mandron (Colchester United) left footed shot from outside the box is saved in the centre of the goal. Foul by Kurtis Guthrie (Colchester United). Sean Clare (Gillingham) wins a free kick in the defensive half. Elliott List (Gillingham) wins a free kick on the right wing. Kurtis Guthrie (Colchester United) wins a free kick in the attacking half. Kurtis Guthrie (Colchester United) wins a free kick in the defensive half. Attempt missed. Brandon Comley (Colchester United) right footed shot from outside the box is too high following a corner. Corner, Colchester United. Conceded by Jake Hessenthaler. Corner, Gillingham. Conceded by Sam Walker. Attempt saved. Sean Clare (Gillingham) left footed shot from outside the box is saved in the top right corner. Attempt saved. Lewis Kinsella (Colchester United) left footed shot from the left side of the box is saved in the centre of the goal. Attempt missed. Cole Kpekawa (Colchester United) left footed shot from outside the box is high and wide to the left. Attempt missed. Sanmi Odelusi (Colchester United) left footed shot from the centre of the box is too high. Attempt saved. Elliott List (Gillingham) right footed shot from the right side of the box is saved in the centre of the goal. Attempt missed. Sean Murray (Colchester United) right footed shot from outside the box is close, but misses the top left corner. Josh Parker (Gillingham) wins a free kick in the defensive half. Foul by Lewis Kinsella (Colchester United). Sanmi Odelusi (Colchester United) wins a free kick in the defensive half. Attempt missed. Darren Oldaker (Gillingham) right footed shot from outside the box is too high from a direct free kick.